I’ve been cleaning up the code in my WordPress plugins and releasing one update at a time. I give you the newest version of Where did you go from here. This plugin will give you a set of related posts by a very different and unique criteria: What are your visitors viewing? You’ve seen this before on Amazon.com’s product pages? Amazon is a great example of visitor retention through recommendations. All of Amazon’s pages have a “Customers who viewed this also viewed”. Now ask yourself how many times you can clicked these links. One of the key changes to this plugin is the redesigned admin interface. It’s responsive and fits better into your WordPress Admin interface. I’ve gotten rid of the tabbed interface for a collapsible options interface. The plugin comes ready out of the box and you can always jump into the settings page to fine-tune your settings. Another main addition to the v1.7 is the new meta box at the bottom of your Write screens. 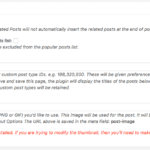 You’ll find this on your Posts, Pages as well as Custom Post types. 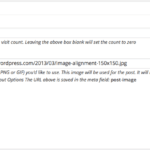 You can now enter a comma separated list of IDs of posts, pages or custom post types. 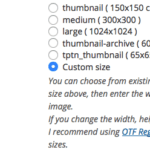 Future versions of the plugin will include an ability to Bulk Edit these entries. Last but not the least, I’ve cleaned up most of the code in the plugin to make it more readable and better documented. 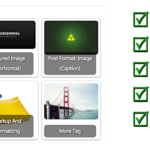 If you don’t have Where did they go from here installed on your WordPress blog yet, then give it a test drive. 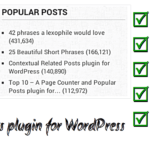 Existing users can upgrade the plugin from within the WordPress interface. Like my other plugins, this comes with great and prompt support via the WordPress.org support forums or paid support via email. You’ll also find the “forever under development” version on GitHub. Feel free to fork the plugin and send me a pull request with a feature you’ve implemented.